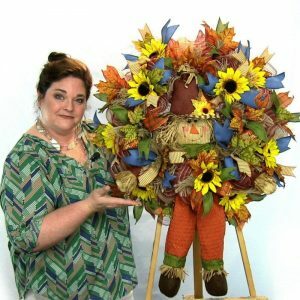 Save money by making your own Rooster Wreath! 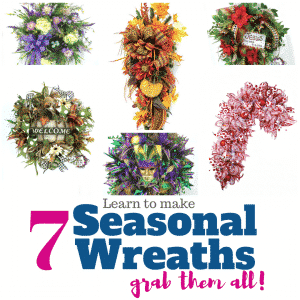 Stop your Google searching for how to make a Silk Flower Rooster Wreath. 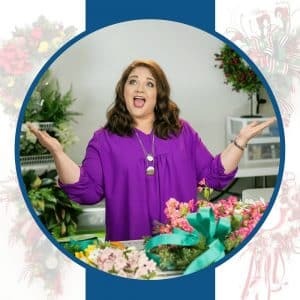 You’ve found all your answers right here! This wreath is filled to the brim with flowers, berries, ribbon and yes a Rooster! 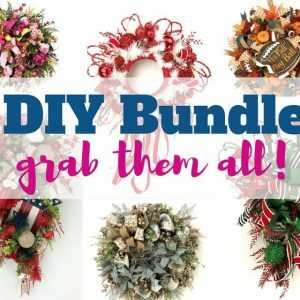 You’ll be so excited with your finished wreath, you’ll want to show it off to all your friends! 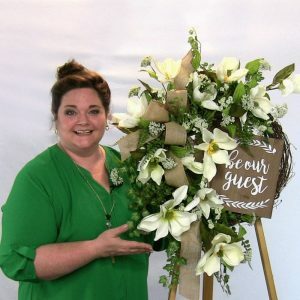 This wreath is filled with silk flowers such as red gerber daisies, garden daisies, berries, grasses, greenery and of course a metal sign. 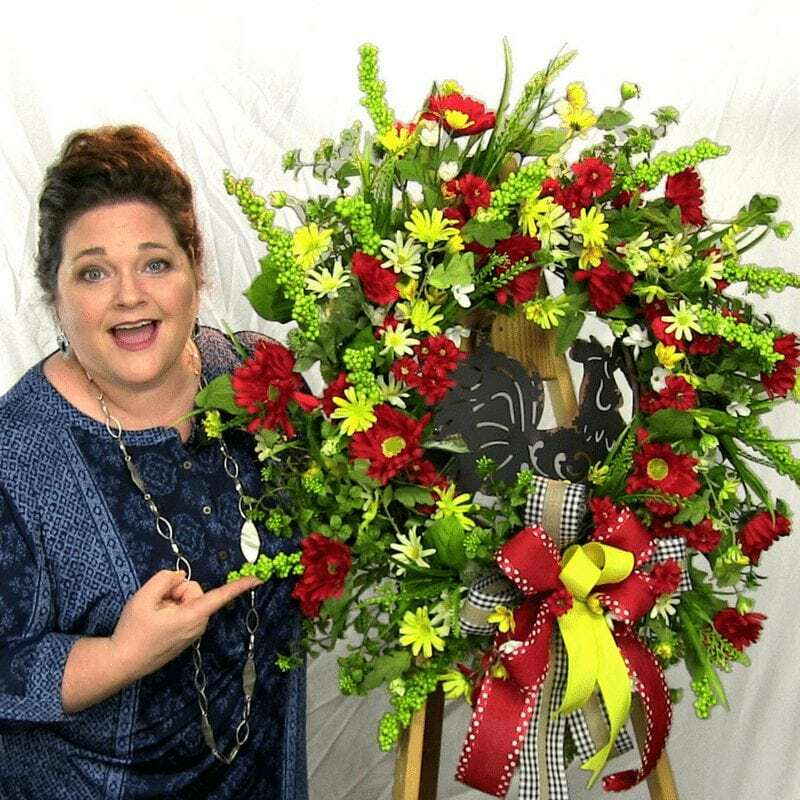 I also show you how to make a multi ribbon bow to finish this wreath off and make it pop. 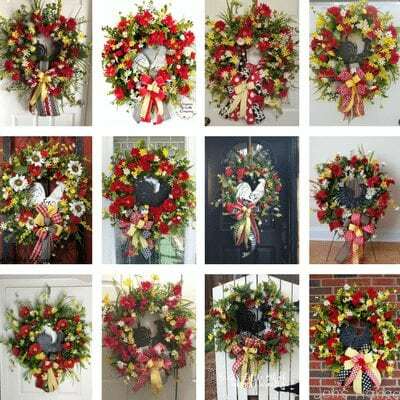 Can you imagine the door envy your neighbors will have when they see this stunning designer Rooster Wreath hanging on your door?